The Regero Soil Steamer is a trailed machine which injects 'dry' steam into the soil at the desired depth and temperature to eradicate disease, weed, nematode and other micro-organism development. 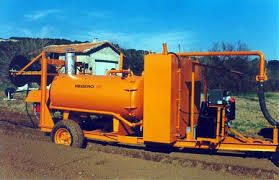 Soil steaming is a physical and natural process of disinfection and therefore poses no risk. 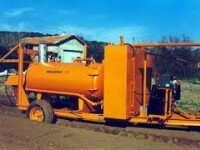 it is based on the difference of resistance to temperature of micro-organisms of the soil. Using the Regero Soil Steamer is beneficial for vegetable growers as it results in better growth of the plant, no stress for the plant during its growth and bigger final products for harvesting. The disinfection time will vary with the desired depth and with the parasites to be destroyed.